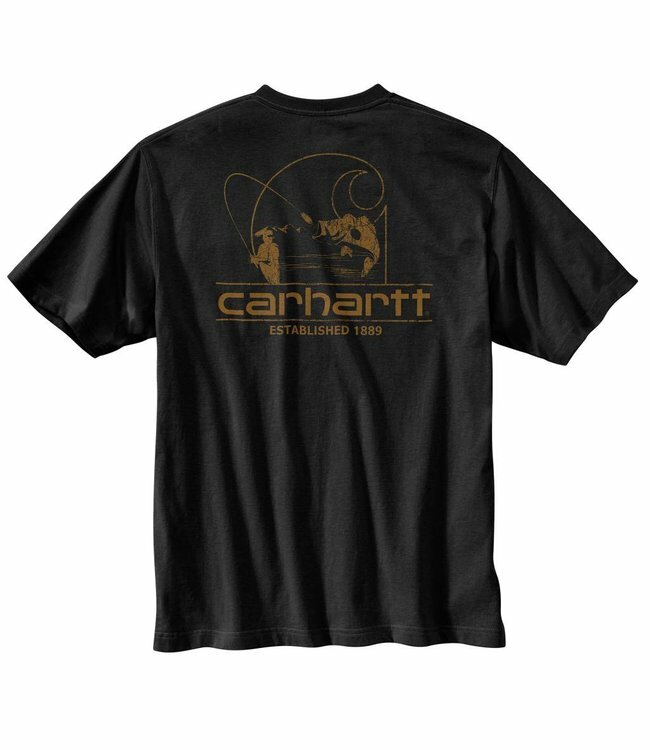 An everyday tee with Carhartt pride, this men's short-sleeve t-shirt keeps you comfortable through work or the weekend. It's made of midweight cotton that's soft yet durable. Carhartt fishing graphics decorate the back.